Scotland head coach Vern Cotter has added two more players to his training squad in Newcastle preparing for the Autumn Internationals. Peter Horne, the five-times capped Glasgow Warriors centre, and uncapped Edinburgh Rugby scrum-half, Sam Hidalgo Clyne, have been brought in as precautionary injury cover for Alex Dunbar and Chris Cusiter respectively. Dunbar reported ankle discomfort during the Warriors’ European Rugby Champions Cup win over Montpellier in France on Saturday, while Cusiter missed Sale Sharks’ corresponding Cup clash with a calf strain. The pair will require further assessment from the medical team over the coming days to determine their time of return. While the bulk of the squad convened as planned last night, the arrival of Warriors’ wingers Tommy Seymour and Sean Maitland was delayed until today (Monday) as both experienced concussive episodes following head knocks sustained against Montpellier. Both were advised to rest at home over night and began their graduated, return-to-play protocols when they arrived on Tyneside this morning. 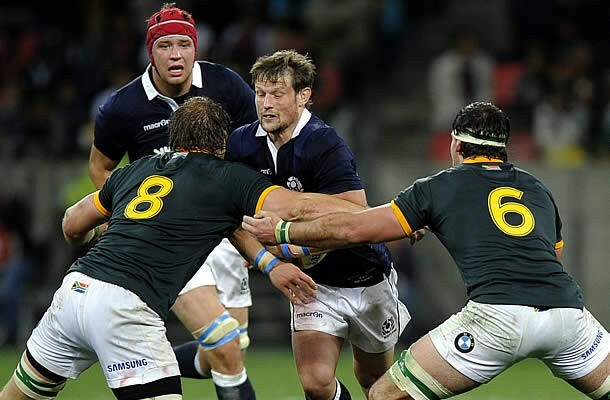 Scotland will now begin a three-day camp at the Royal Grammar School, one of the team’s training bases during the pool stages of the Rugby World Cup 2015. Scotland will then play two Tests on consecutive Saturdays, taking on World Champions, New Zealand, at the same venue on Saturday 15 November; and Tonga at Rugby Park, Kilmarnock on Saturday 22 November.